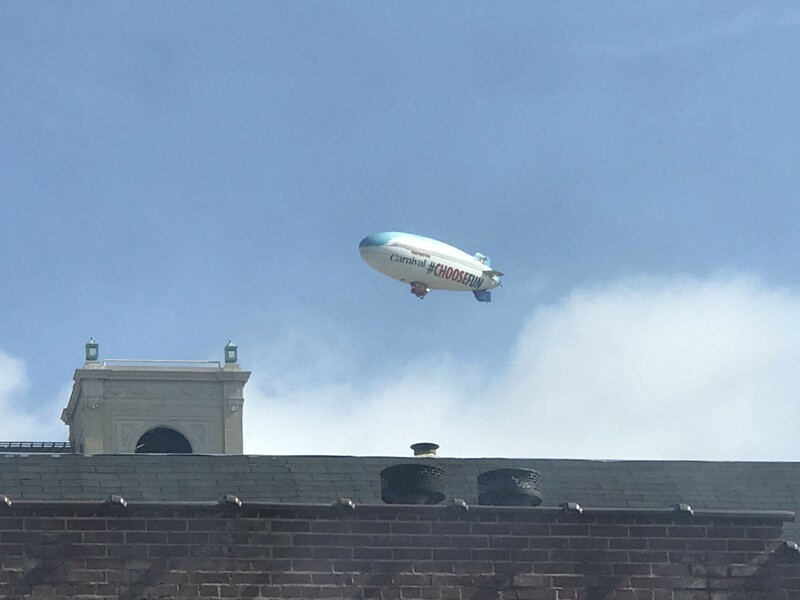 A blimp was drifting through the skies over Downtown Memphis Wednesday and while, yes, it's a promotion for Carnival Cruise Lines, it's also raising money for St. Jude Children's Hospital. The Carnival AirShip made its debut for the company here in Memphis Wednesday. It'll travel all over the Southeast for a new promo. You can read all about that (if you're interested) in a story at the Sea Trade Cruise News. That story says posts to Facebook, Instagram, or Twitter with the hashtag #ChooseFun will trigger a "donation to St. Jude, Carnival’s longtime charitable partner."